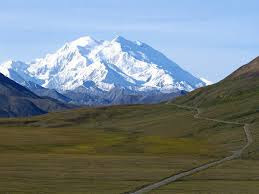 Ohioans Could Always Change Their Own Highest Mountain to "McKinley"
Via the Washington Post. Economist link here. At least someone is trying to keep track. It looks like a full-time job. Mark Steyn is back, looking for money to pay a lawyer. And pushing opinions instead of science. Awhile back Steyn quoted a Jonathan Jones, Lecturer in Physics at Oxford University, about Mann's work. So I wrote to Dr. Jones asking for more details. Despite Jones' bluster, what I found wasn't very convincing. The Hockey Stick is obviously wrong. Everybody knows it is obviously wrong. Climategate 2011 shows that even many of its most outspoken public defenders know it is obviously wrong. And yet it goes on being published and defended year after year. Do I expect you to publicly denounce the Hockey Stick as obvious drivel? Well yes, that's what you should do. It is the job of scientists of integrity to expose pathological science... It is a litmus test of whether climate scientists are prepared to stand up against the bullying defenders of pathology in their midst. As I showed here, the hockey stick is, in fact, an elementary result of basic scientific reasoning. So I was curious about the surety of Jones' conclusions, given that I couldn't recall any papers by him on the subject. and I gave him links to Tingley and Huybers, Marcott et al, and PAGES 2k. The quotation Mr Steyn is using can be found in context at http://www.bishop-hill.net/blog/2011/12/2/tim-barnett-on-the-hockey-stick.html#comment16080991. I’m afraid that I am somewhat confused by your question, as your suggested conclusion does not follow from your premises. However I will do my best to answer. First please note that my comments which you quote apply specifically to the Mann hockey sticks, MBH98 and MBH99. The methods underlying these reconstructions have been comprehensively debunked, most famously by Steve McIntyre; if you are unfamiliar with the story then I suggest “The Hockey Stick Illusion” by Andrew Montford as an excellent primer. Even if one accepts the underlying method of multiproxy reconstruction with effective selection of individual proxies by correlation (and like most people outside the small world of people doing such reconstructions I don't) the inclusion of "proxies" known not to be reliable temperature proxies (e.g. bristlecone pines and contaminated lake sediment series) and the use of inappropriate mathematical techniques (mostly famously decentred PCA in MBH98) renders the reconstructions useless. These papers are methodologically bogus, and would remain methodologically bogus even if other papers were to reach similar conclusions. In so far as such papers rely on the same bogus methods then their conclusions are equally invalid; conversely papers which reach similar conclusions by different means have nothing to say in support of the bogus methods of MBH. You mention three particular reconstructions, none of which provide any support for the methods in the MBH papers. The Marcott 2013 multi-proxy reconstruction is most famous for the dramatic uptick which occurs at the end of the reconstruction. However it is now well known that this uptick is not robust, and is almost certainly an artefact. It is notable that this uptick does not occur in Marcott’s thesis, and I understand that the authors no longer defend this portion of the reconstruction. Once this uptick is removed there is nothing much to see unless you are advocating splicing temperature data onto proxy data. The Pages2K 2013 reconstruction suffers from many of the same problems as the MBH reconstructions, with many datasets in common, including contaminated lake sediments and bristlecone tree ring series known to be unsuitable. Famously some of the series are used "upside down": this is a common error in papers which use selection by correlation, and a clear indication of why the method shouldn't be used. The paper adds little or nothing to the debate on MBH. The Tingley and Huybers story is a long and complex one, and I am not sure quite which paper you are referring to, but many of their papers have used notorious “proxies” such as Mann’s PC1, the Yamal lone tree, and the most famous of the upside down contaminated lake sediment series, Tiljander's data as used by Mann. The mathematical techniques used are not as different as you suggest, and any similarities in outcome largely reflect the inclusion of the same inappropriate proxies. Once again it adds little or nothing to the debate. I apologise that this reply is not particularly detailed, but I am currently very busy with the fallout from admissions and examining. 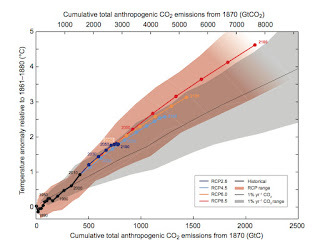 If you want to read more about the deficiencies of the reconstructions above I suggest you take a look at McIntyre’s site, climateaudit.org, although you may find that the posts there swiftly become rather technical unless you have a strong mathematical background. My point about the other reconstructions -- Marcott et al, PAGES 2k, and Tingley and Huybers -- is that, if independent analyses find essentially the same result at MBH, using different mathematical techniques, how can Mann et al be so badly wrong? I'm afraid that I don't share your take on Wahl and Amman. In fact this paper largely establishes the correctness of the McIntyre and McKitrick criticisms. In particular I draw your attention to table 1S on page 63. Your final question was answered in detail in my previous reply, so I am confused as to why you are asking it again. I found it odd that a scientist would cite a blog. The difference between peer reviewed papers published in major journals and blog posts is -- or should be -- very obvious. (Yes, that holds for this blog as much as any other. 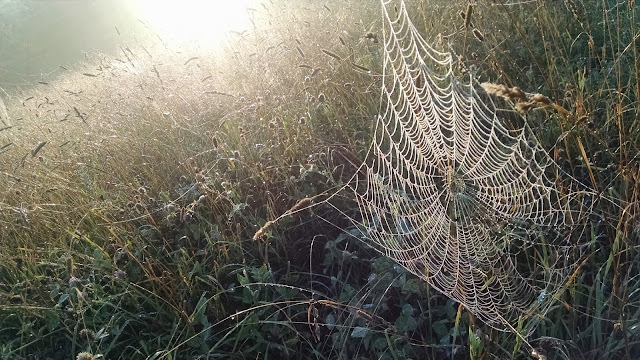 Blog posts aren't science.) They simply aren't in the same league, and it is very rare, if ever, you will ever see a scientist cite a blog post. So I asked Jones about his own work on the hockey stick. Your criticisms of all these papers -- Marcott et al, PAGES 2k, Tingley & Huybers -- strike me as shallow. They are hand-waving. Where are the peer reviewed papers showing them wrong? Have you published any papers showing them wrong? I'm a science journalist. I'm well aware that blogs can, and do, say anything, with few, if any, consequences for being wrong. So I prefer to work from the peer reviewed literature. I never heard back from Dr. Jones. Maybe asking about his own publications was a touchy subject for him. But blog-level thinking isn't good enough for professional scientists -- I can get that anywhere. The point of being a professional is to offer professional critiques. Jones did not do that. I don't see much, if any, merit in his replies. I'm sure Steyn's readers will be impressed by whatever he writes and whomever he quotes. And Judith Curry will repeat them without question. But as Jonathon Jones showed, at least, his criticism quoted by Steyn wasn't scientific, and wasn't impressive or convincing. Steyn's readers got all hot and bothered by this post, but completely ignored the posts that showed how the hockey stick is an unsurprising consequence of basic physics. I suspect most of them don't understand basic physics. Science simply isn't their interest. Instead, they are thrilled by rhetorical fluorishes and debate scoring, whether it's been the Second Iraq War or writing that sates their Islamophobia. Following up on the previous post: the ocean heat content data for the 0-700 meter region shows a much clearer acceleration when using the full dataset going back to 1955 -- it comes to 0.009 W/m2/yr. The second quarter numbers for ocean heat content (OHC) are in, and they again show large increases year-over-year. Changes in ocean heat content are thought to be the best way to detect and measure a planetary energy imbalance, since the vast majority (about 93%) of the extra heat goes into the ocean, and because its huge heat capacity -- about 1,000 times that of the atmosphere -- means heat changes there are much less fickle than in the atmosphere. As oceanographer Greg Johnson of NOAA puts it, "global warming is ocean warming." OHC for the top half of the ocean (0-2000 meters), measured by the Argo bouys in the last 10+ years, is now clearly accelerating. The year-over-year change for the 0-700 meter region is 1.1 W/m2, and 1.5 W/m2 for the 0-2000 meter region. I divided the heat increases by the total area of the Earth, since almost all of the heat trapped by manmade greenhouse gases, across the entire planet, goes into the ocean. Here, ZJ = 1 zettajoule = 1021 Joules. where t is time, going from 0 to 1, and C(t) is the atmospheric CO2 concentration at time t. (More on the exponent 2/3rds below.) This means C=1 at the start time t=0, which you can rescale to 280 ppm if you want, but I'll keep the function simple to make the conclusion clearer. (I've dropped proportionality constants.) This is simple enough. I've plotted these functions to the right. The curve C(t) is superexponential -- it's increasing faster than an exponential function. The green line is the exponential fit to the C(t) data points using linear regression, and it can't keep up with the C(t) curve. The brown line is the resulting temperature change -- a hockey stick. It's a straightforward consequence of the world's path on CO2 emissions and the basic physics. 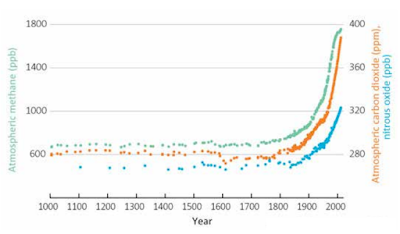 Thus, it would be surprising if any of the paleoclimate studies gave anything other than a hockey stick. In their paper, Hüsler and Sornette construct a very simple economic model that gives this superexponential for atmospheric CO2. They make some basic and plausible assumptions -- about population growth, the labor force, about the amount of capital, and about the progress of technology, and get a set of coupled differential equations they solve. A simple case give the exponent 2/3rds I used above. You can tweak that too, if you want. See their paper for details. C(t) is no longer increasing superexponentially. It can't do that forever, in a real, finite world -- as Hüsler and Sornette write, such an increase eventually leads to "regime change" -- a fundamental change in an input function like population. Perhaps that's what the peak population growth rate in the 1960s was. On the other hand, climate feedbacks are coming into play, so the temperature increase is hardly over yet. Really, it's just getting started. NOAA came out with their number for the global mean surface temperature for July: +0.81°C. It is, which is almost a given anymore, the warmest July in their records, which start in 1880. For a new NOAA record for the year, the last five months of 2015 need to average +0.60°C -- when the first seven months have averaged +0.85°C. With the El Nino in full steam, it's looking very likely (to almost certain) that 2015 is going to be the warmest year on record, and by a sizeable margin. Mark Steyn says he didn't doctor an email to Mann in his vanity publication. Tony Heller Exposed, you seem to have botched this. My fault for believing you without checking. I wonder then, how Judith Curry got the idea Steyn did doctor the email, because she definitely doctored it in her post. I've written to her to ask. Steyn thinks I should buy a copy of his book. Really, he does, for $15.46. Me, a poor freelancer scratching the floor for grains of wheat. I'm happy to read a complimentary copy, and attempt to place a review -- here, if no one is interested -- but no, this isn't a book I'm going to buy from him. Or from Amazon -- I cancelled my account there last weekend, after the NY Times expose on their abysmal working conditions. PS: I wonder if Steyn has examined any of the other evidence for the hockey stick, some derived with independent mathematical techniques. Like Marcott et al Science 2013, PAGES 2k, or Tingley and Huybers. At least, that's the term being used now by the National Research Council, as Marcia McNutt and Ken Caldiera talked about on a teleconference today regarding two recent NRC reports on the subject. 2) "engineering" implies a project or process under precise control, with a definite outcome with little uncertainty, while "climate intervention" does not. Intervention is more like a surgeon operating on you for cancer -- s/he and you would like the result to be something specific, something tailored, something definite -- but you both know, and so does everyone else, that it may not be. There is uncertainty. It will be interesting to see if this nomenclature takes hold. It probably should. It would introduce a sense of uncertainty that the idea needs to convey, because it does carry a lot of uncertainties, especially for albedo modification ("solar radiation management"), which Ray Pierrehumert calls "batshit insane" "barking mad." And yet I expect that in 20-30 years, the world -- or at least its major powers -- or at least one of them -- will be doing something like spraying aerosols into the stratosphere to reflect sunlight. Floridians are going to demand it, as climate change suddenly thumps them right in the forehead and their state begins to go underwater. It will become a presidential campaign issue. Scientists will point to their reports and warn of the dangers and uncertainties, and politicians will do it anyway. And most of the country, still as addicted to fossil fuels as ever, with Big Oil and Big Gas still buying politicians, thinking no deeper than did Freakonomics on the issue, will support it. Because it's easy. By the way, Ray Pierrehumbert, of this "barking mad" article in Slate, was a co-author on these NRC reports. Note 8/21 9:40 am PDT: No response from Judith Curry. The doctored quote still appears on her blog. Mark Steyn is doctoring words from Climategate emails. That's bad enough, but worse yet, Judith Curry is helping him. This is shocking for being so obvious. That's right -- neither Steyn or Curry gave the actual quote, or put in ellipses for the part they left out. They also changed "1000 year" to "thousand year," and, more importantly, left out -- again, without ellipses -- the paranthetical phrase in the last sentence, "...(I mean all of us here)..."
What they left out obviously changes the meaning and context of the quote they did give. Their quote is simply wrong, and worse, it's dishonest. Note 8/19/15: issues with incorrect graph labeling have been corrected. I think it's pretty safe to conclude that Arctic sea ice extent won't be setting a record low next month. The yearly maximum of Arctic sea ice extent, occurring this year in late Febuary, was a record low according to both datasets. Anyway, this failure to reach a new low does not mean the ice is "recovering," as I'm sure we'll hear over the next few weeks from the usual suspects. Right now the Arctic SIE is 5-7% lower than last year's value at this time. July's PIOMAS sea ice volume was 2.7% lower than in July 2014. Some recovery. The trend of the unexceptional years, shown here in green, intersects the 2012 record low in about 8-9 years. That's not much different from the 10 years I heard speculated about at AGU, but that's probably just a coincidence. 2012 had a mid-summer cyclone that tore up the summer ice. That doesn't happen every year, but it will again at some point, and the ice will be even smaller and thinner than it was in 2012. And that'll be a new record low year. It will happen, but it might be awhile. At least, that's my bet. And not just mine, either. Via: Huffington Post. WaPo has a little more on the science. The Pacific Decadal Oscillation (PDO) index for July was a strong positive +1.84. That's 19 months now it's been positive. I'd call that a flip. "The question is not, 'Is there going to be a tax on carbon?' It's, 'Do you want a tax that you have a voice in and control, or do you want to keep writing checks after disasters that you have no control over?'" says retired Rear Admiral David Titley, who has advised some of the GOP presidential candidates and directs the Center for Solutions to Weather and Climate Risk at Penn State University. "That $60 billion relief bill for Hurricane Sandy that passed very quickly through a Republican-led House, did you get a vote on that tax? Because that's a tax." "A computer is a clock with benefits." Nature published a graph labeled in Fahrenheit. Nature Geosciences complained. How will driverless cars make ethical decisions? "Will Google Kill 'The Fat Man'? : What runaway trolleys tell us about driverless cars," Rick Paulas, Pacific Standard, 8/5/15. That tortured orange being in Star Trek: Enterprise was a Tholian. And maybe not pure light as I had thought. Here's a picture of the exoplanet mentioned above, taken by the Gemini Planet Imager in Chile. The Sun, in the middle, has been masked. The planet, "51 Eridani b," is the spot marked "b." and that, now that the PDO (Pacific Decadal Oscillation; data here) has flipped to its positive phase, we may be stepping up again. "There is speculation whether the latest El Niño event and a strong switch in the sign of the PDO since early 2014 (see the figure) mean that the GMST is stepping up again. The combination of decadal variability and a trend from increasing greenhouse gases makes the GMST record more like a rising staircase than a monotonic rise. As greenhouse gas concentrations rise further, a negative decadal trend in GMST becomes less likely (13). But there will be fluctuations in rates of warming and big regional variations associated with natural variability. It is important to expect these and plan for them." Which means, I guess, that after this temperature step increase levels off, we get to do the hiatus all over again. Deniers, save your posts for reuse. Buy all the coal company stock shares, and give the industry's workers their salary and benefits today for the rest of their lives. Then shut the entire industry down. It would all pay for itself in just 1.5 years. This isn't my idea, but now I can't remember where I first read it. So I whipped up some analysis on my own. So it would cost about $150 B total to save at least $100 B/yr. That's quite a deal. Workers would keep the income they've come to depend on. No one would need to be retrained -- but intensive retraining programs should be part of the package, of course. And ideally, funding for educational opportunities for younger workers and their children. Stockholders would get the market price. Here's a number that shows how overwhelming the global warming problem is. The plan relies on three basic options to lock in and drive future reductions: improving the efficiency with which power plants burn coal; swapping natural gas for coal; or replacing electricity generated from burning fossil fuels with electricity generated from renewable resources, such as the wind, water, sun and geothermal heat. Such shifts lead the EPA to project the full 32 percent reduction in CO2 emissions from 2005 levels by 2030. "The nerdier way to say that is that we'll be keeping 870 million tons of carbon dioxide pollution out of our atmosphere," Obama said. So the plan saves emissions of 870 Mt of carbon dioxide. Now we can crank up the carbon-climate response (CCR) function of Damon Matthews et al, which used observations to show that the ultimate amount of surface warming the world will see is 1.5°C per trillion tons of carbon emitted, with 5th and 95th percentile limits of 1.0°C and 2.1°C. 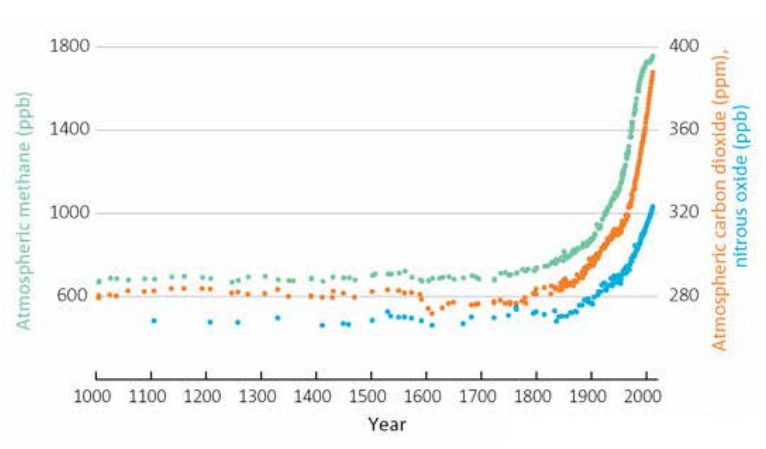 This graph to the right, from the IPCC, shows how well the CCR function captures reality, and projects it into the future. 870 Mt CO2 is 237 Mt carbon, or 0.00024 trillion tons of carbon. So the warming prevented will be 0.0004°C, or 0.4 milli°C. That's 0.006 0.0006°F. The 5-95 percentile limits are (rounding) 0.0002°C to 0.0005°C. That's just depressing. This significant proposed change in US policy, which seems a stretch but probably doable, though it may not survive years of court challenges, will barely nudge down the warming we are to expect. And yet, the emissions cuts have to be done. And more cuts must follow this. The conclusion is, global warming has to be solved one milli-Celsius at a time. Many will complain that the number is too tiny and the plan isn't worth doing. But, of course, those same people would never acccept a plan that DID reduce warming 0.1°C at a time. The US can't solve this problem alone, of course, We're a nation of 321 million people, putting forth a plan to prevent 870 million tons of CO2. If the entire world did the same, population 7.26 billion, the warming prevented would be 0.01°C. Of course, much of the world can't cut that much. Some of the world's people don't even emit that much in total. So if the entire OECD did the same, population 1.26 billion in 2013, prevented warming would be (rounding) 0.001°C. 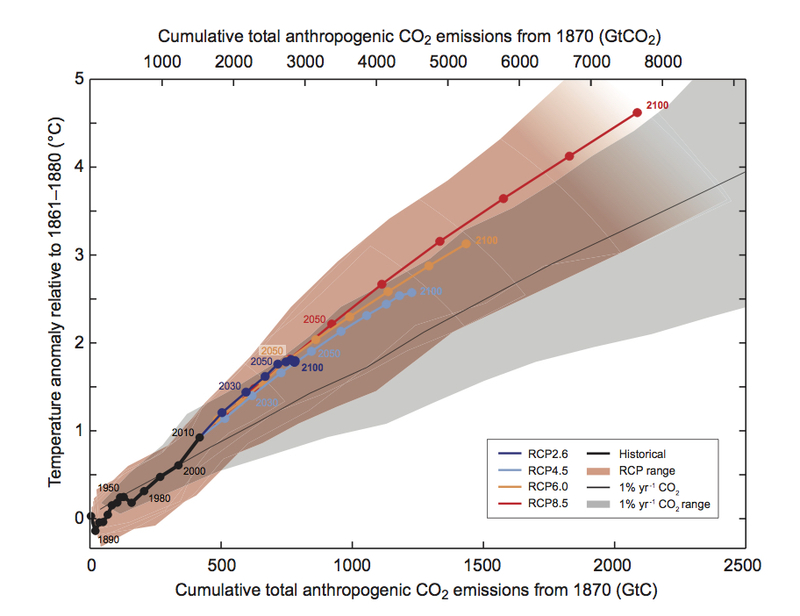 Anthropogenic climate change looks very much like an insurmountable problem. At least tonight. UAH just changed their data model from version 6.0 beta 2 to beta 3. (The beta 2 data no longer seem to be available, but I have a spreadsheet.) Some of the changes are signficiant, so it seems their new model has not settled down yet to a publishable version. Personally I suspect most people would prefer to see the changes when their methodology is published, like Karl et al recently did. What's the point of putting out a new version of the data that's not stable and not explained in a journal paper? I haven't looked at changes to the data for any atmospheric region but the lower troposphere. "Cooling in the near future?" "The earth is entering a cooling phase which is likely to last about 30 years and possibly longer." Quark Soup thinks a published correction is in order. Global sea ice extent for August 4th, from 1979-2015. At the moment, Arctic SIE is 3.9% below last year's extent, and Antarctic SIE is 6.4% lower.